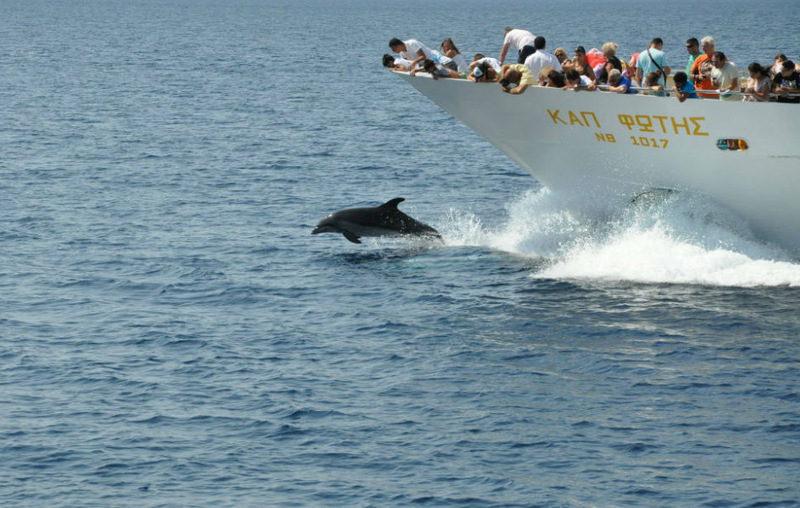 Explore the best cruise in Chalkidiki! 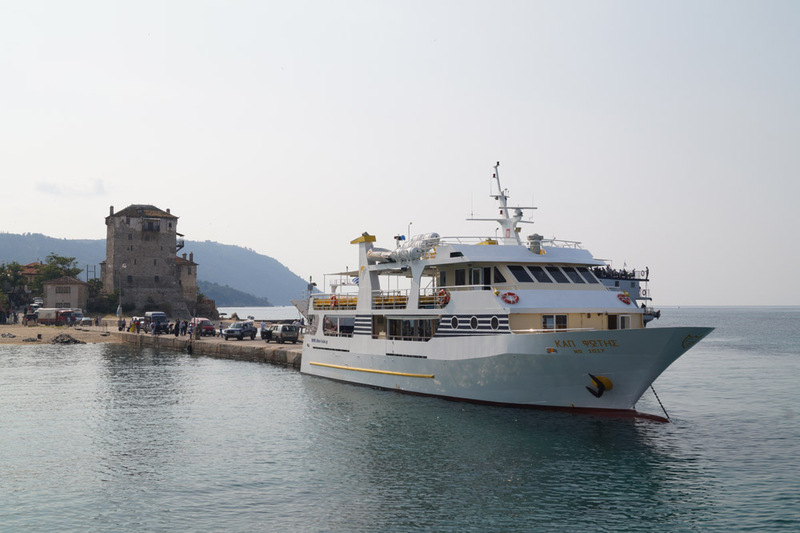 The cruise to Mount Athos departs from Ouranoupolis twice a day with the “Captain Fotis” boat of 300 seats. Daily from the 1st of April until the 31st of October and at 10:30 and 14:00. 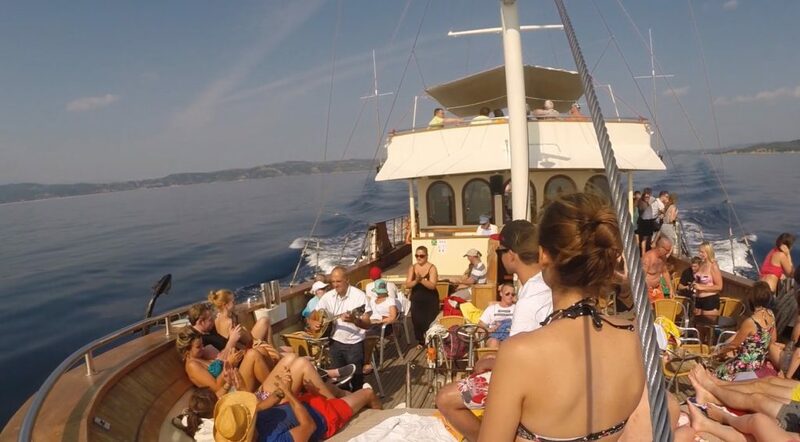 The afternoon cruise to Mount Athos is available from the 15th of May until the 15th of October. 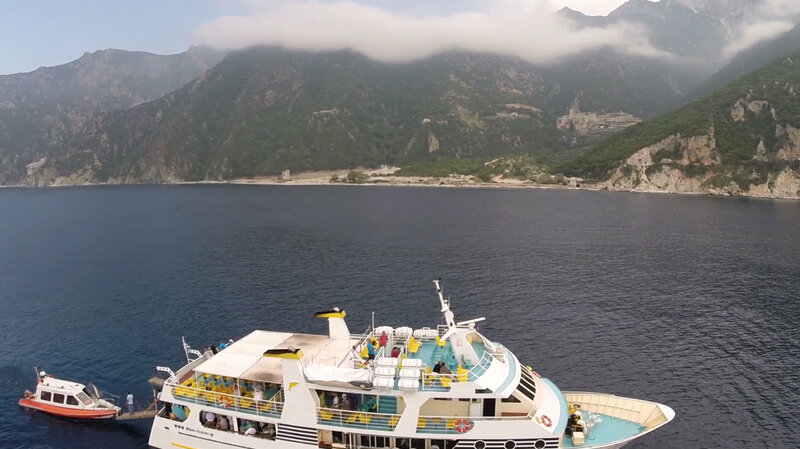 The duration of the cruise to Mount Athos is three hours. 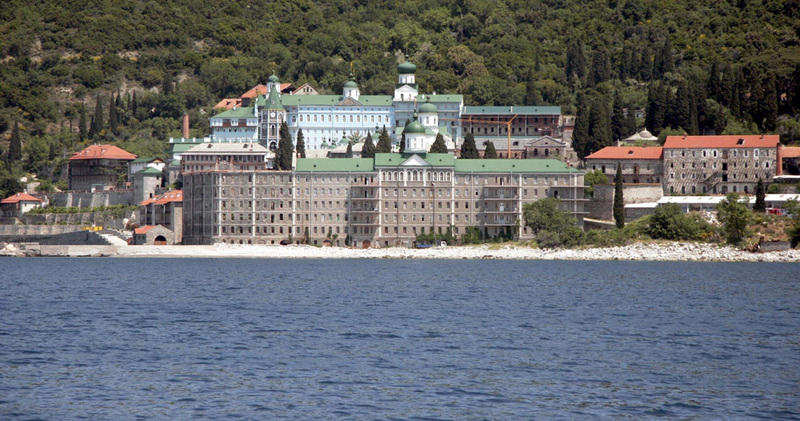 Ouranoupolis is located just before the border with Mount Athos, where one can only access by boat through the sea. 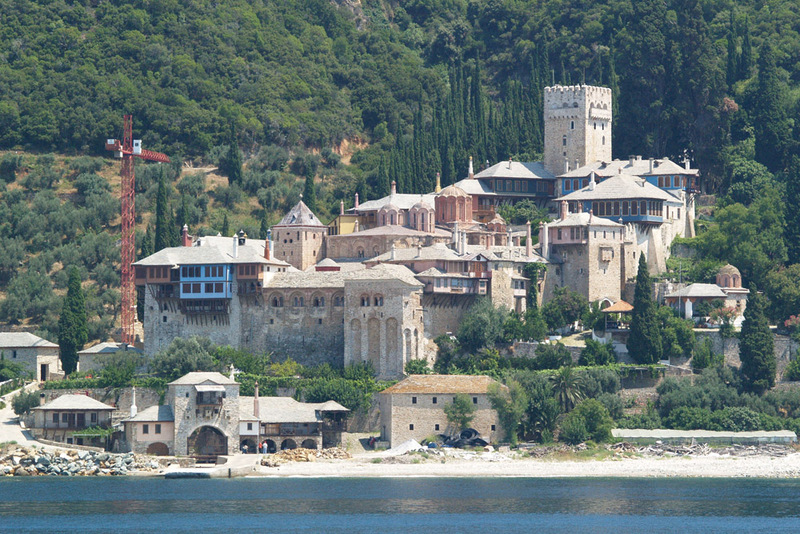 Our cruise to Mount Athos heads to the southwest side of the Athos peninsula. 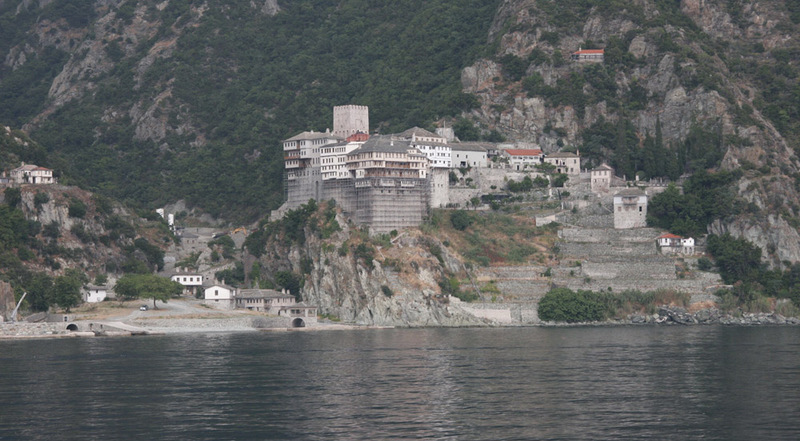 The whole experience of the cruise to Mount Athos is unique. For approximately 40 minutes until we come across the first monastery, the visitor can admire the miracle of nature that is untouched by the human hand. Unique beaches and wild beauty of green, mountain, ravines and steep cliffs. The first monastery we come across is the Monastery of Dochiariou and then the Monastery of Xenophontos, the Monastery of Panteleimon (Russian), the Monastery of Xeropotamou, Daphne (port), the Monastery of Simonopetra, the Monastery of Osiou Gregoriou, the Monastery of Dionysiou, the Monastery of St. Paul and the sketes, New Skete and Agia Anna. 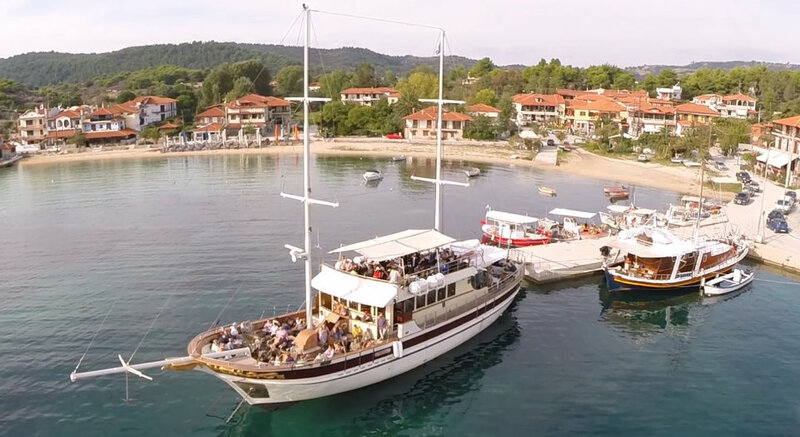 During the cruise to Mount Athos, you have the opportunity to take unique pictures, listen to the tour, buy souvenirs from the boat or enjoy a drink from the snack-bar. 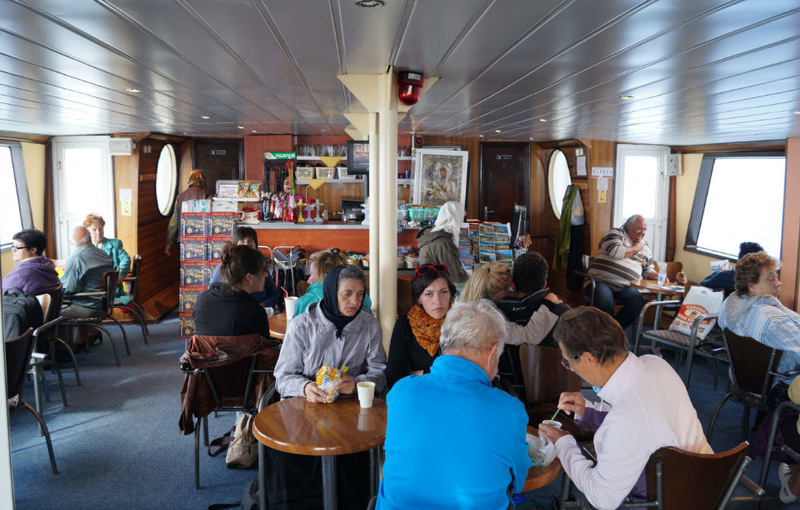 The time of return is 13:45 for the morning cruise and 17:00 for the afternoon cruise. 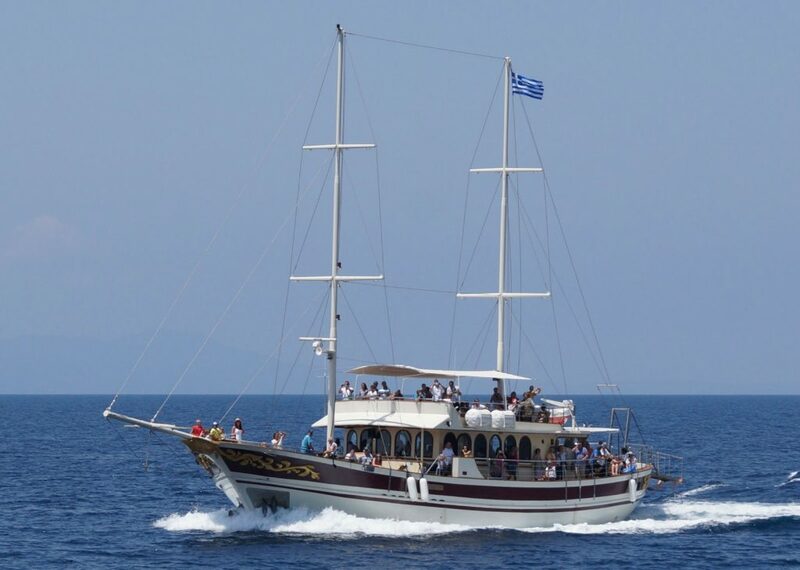 The cruise to Mount Athos departs from Ormos Panagias at 9:30 in the morning with the “Saint George” and “Prophet Elias” boats. Every Wednesday and Saturday from the 15th of April until the 15th of October. 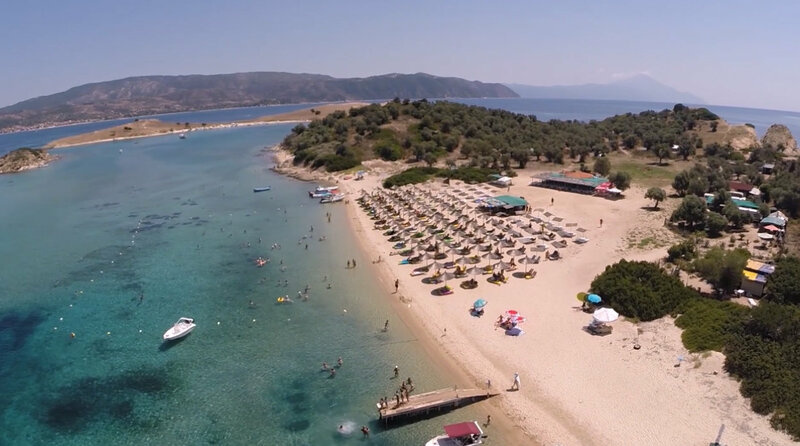 Ormos Panagias is located in Sithonia on the eastern side. Our cruise to Mount Athos departs with the boat sailing on the shores of Sithonia in the direction of Mount Athos. 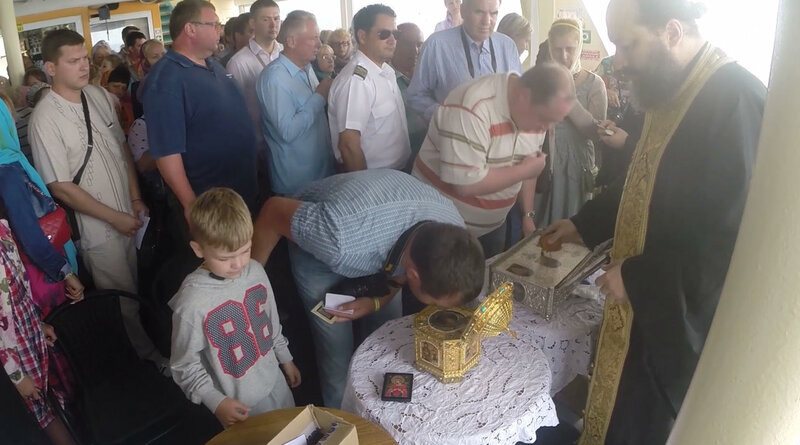 During the whole cruise, the visitor listens to the tour about Mount Athos (the tour is available in 10 different languages). The first Monastery we come across is the Monastery of St. Paul, then the Monastery of Dionysiou, the Monastery of Gregoriou, the Monastery of Simonopetra, Daphne (port), the Monastery of Xeropotamou, the Monastery of Panteleimon (Russian), the Monastery of Xenophontos and lastly the Monastery of Dochiariou. 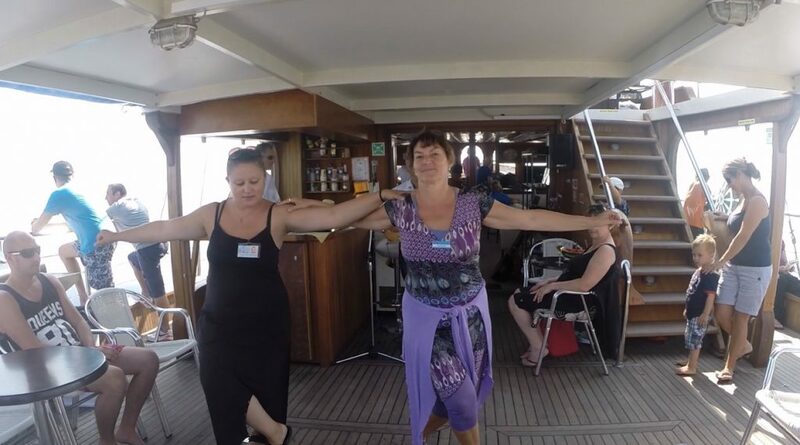 The cruise goes on until we reach Ouranoupolis village. 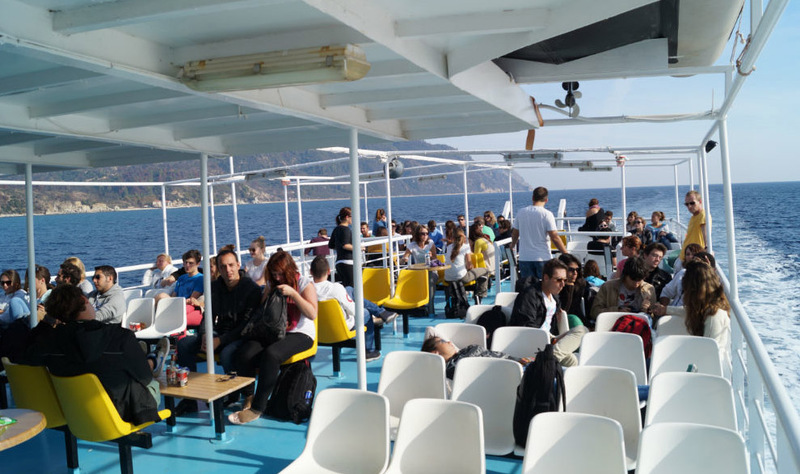 Then there is a 1 hour and 30 minutes stop at the port of Ouranoupolis or the port of the Ammouliani island. The visitors have the opportunity to take a stroll, see the local attractions (the Ouranoupolis Tower, the Folk Museum of Ammouliani) or grab a bite. 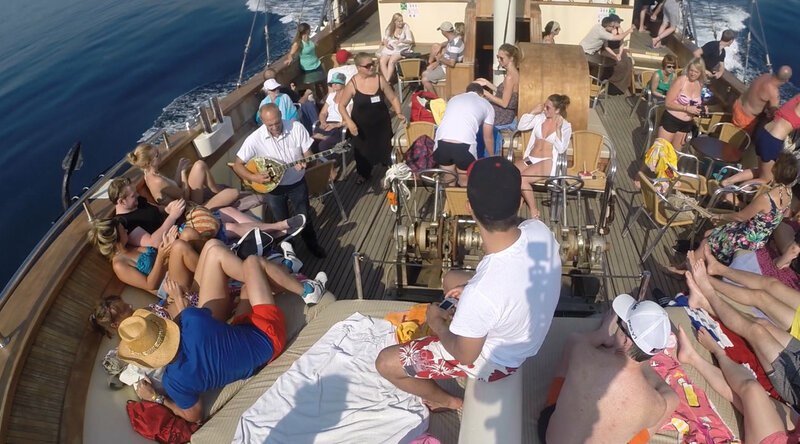 The cruise to Mount Athos ends with the return to Ormo Panagias with music, singing, live bouzouki for fun and relaxation. The time of arrival at Ormos Panagias is approximately 17:15. 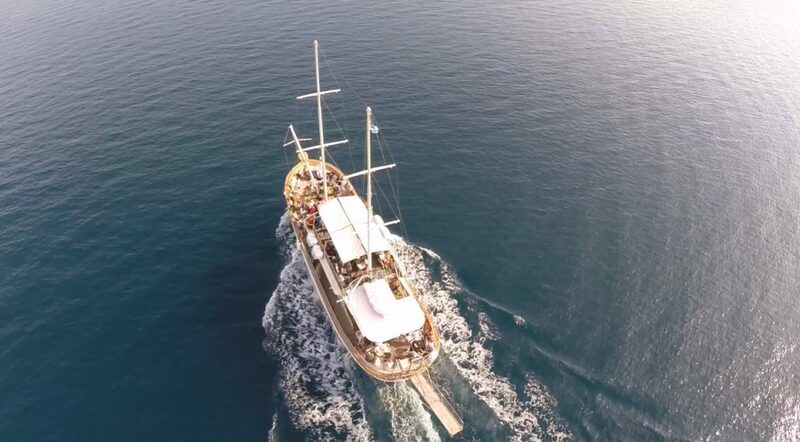 The Cruise to Mount Athos departs from Ormos Panagias at 9:30 in the morning with the “Saint George” and “Prophet Elias” boats. Every Monday and Thursday from the 15th of April until the 15th of October. The first Monastery we come across is the Monastery of Xeropotamou, the Monastery of Panteleimon (Russian), the Monastery of Xenophontos and lastly the Monastery of Dochiariou. 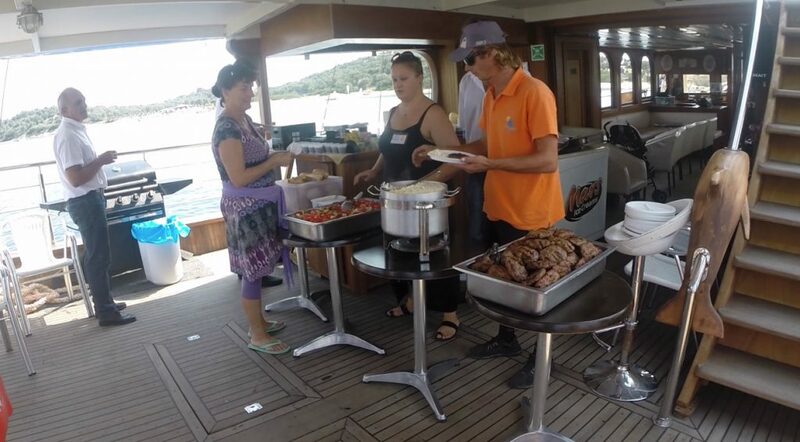 The cruise goes on until we reach Ouranoupolis village and Ammouliani island. The cruise to Mount Athos ends with the return to Ormos Panagias with music, singing, live bouzouki for fun and relaxation. The time of arrival at Ormos Panagias is approximately 17:15. 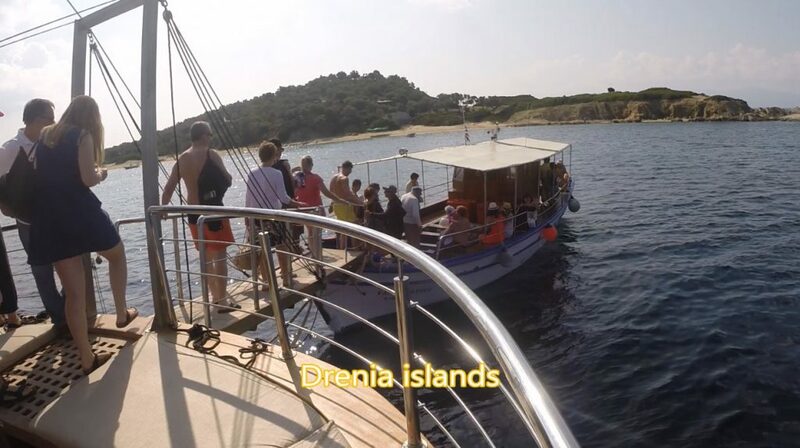 The cruise for swimming and fun to the islets of Drenia of Ammouliani and then for a visit to the island of Ammouliani departs at 9:30 in the morning with the “Saint Paul” and “Prophet Elias” boats. Every Tuesday and Friday from the 15th of April until the 15th of October. 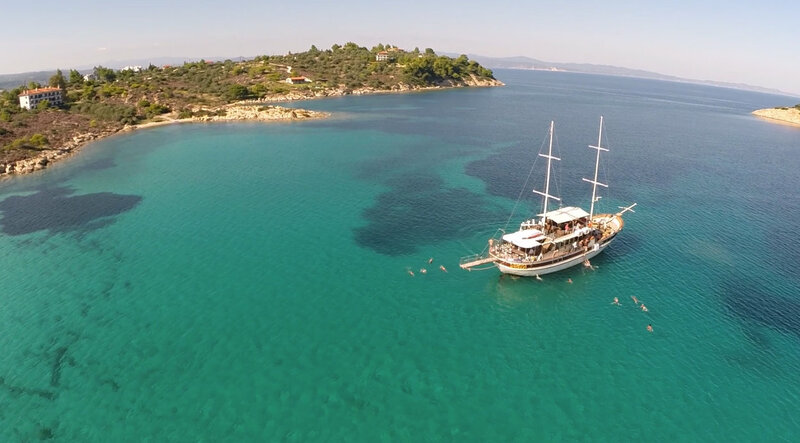 Ormos Panagias is located in Sithonia on the eastern side. 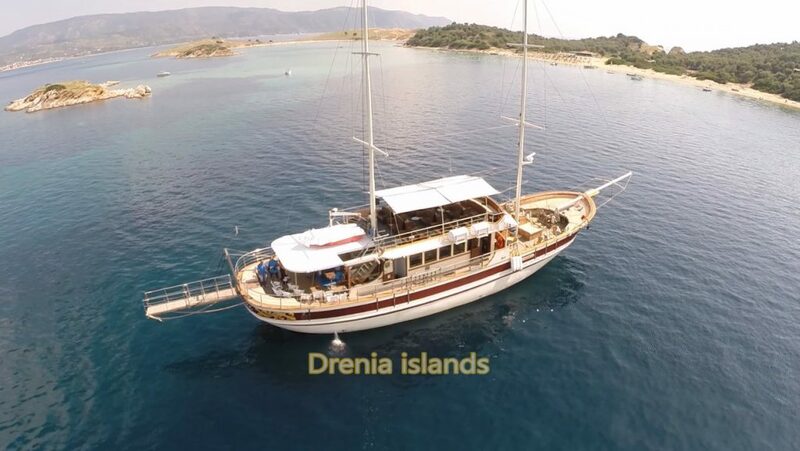 Out cruise to the islets of Drenia and Ammouliani departs with the boat sailing to the northeast, where It leads to the magical – exotic destination of a group of small islands, where the waters are crystal clear – deep blue. Then there is a stop at the port of the island of Ammouliani. 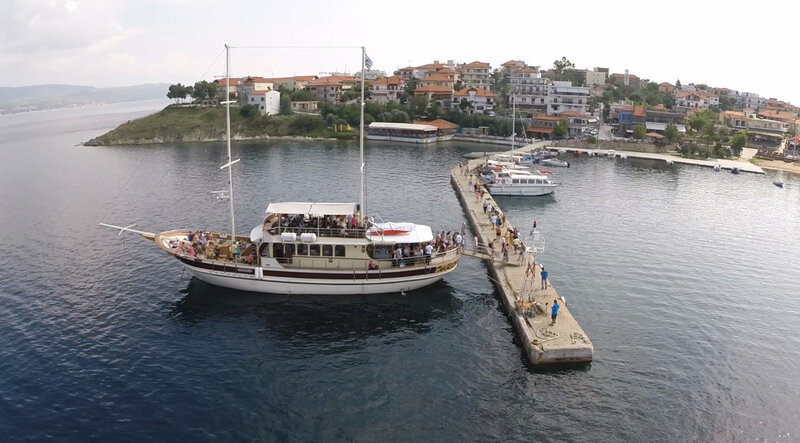 The visitors have the opportunity to take a stroll, see the local attractions (the Mount Athos style Church, the Folklore Museum) or grab a bite. 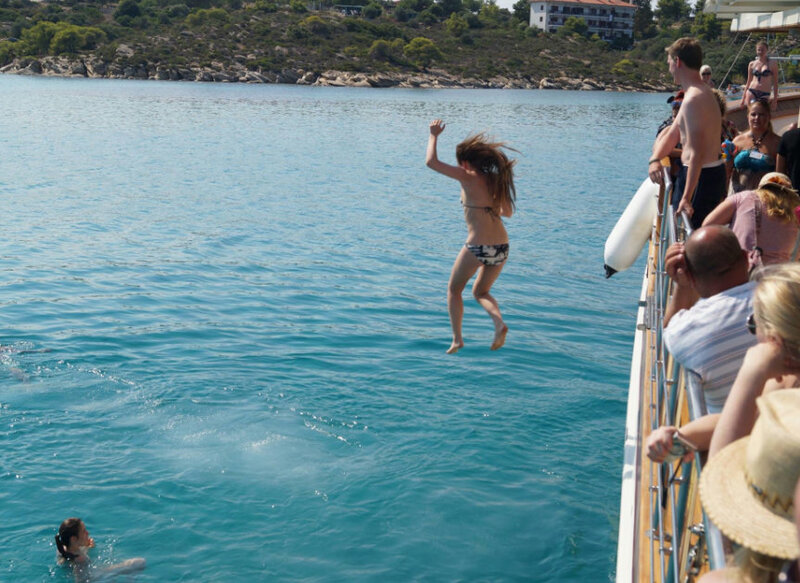 The cruise ends with another stop at Lagonissi bay at the group of islands of Vourvourou, where the boat stops, giving the visitors the opportunity to jump in the blue waters from the boat. During the whole trip back to Ormos Panagias there is music, singing, live bouzouki for fun and relaxation. The time of arrival at Ormos Panagias is approximately 17:15. 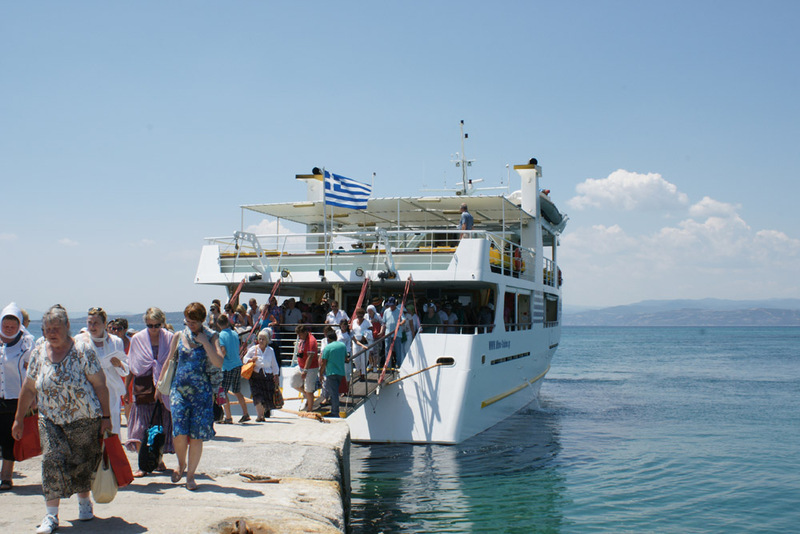 The cruise for swimming and fun departs from Ouranoupolis at 10:00 in the morning with the “Ioanna” boat. Every Monday and Thursday from the 15th of April until the 15th of October. 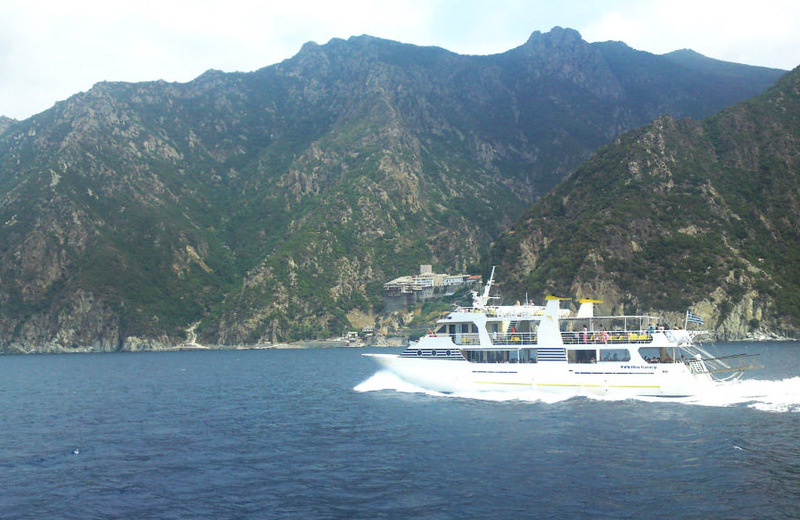 The cruise goes on to the island of Ammouliani. The boat stops in the blue waters of an exotic beach for swimming and the opportunity to jump off the boat. Then there is a stop at the port of the island of Ammouliani. The visitors have the opportunity to take a stroll, see the local attractions (the Mount Athos style Church, the Folklore Museum) or grab a bite. The time of arrival at Ouranoupolis is approximately 17:00. Cruise MapThese are the routes we follow! 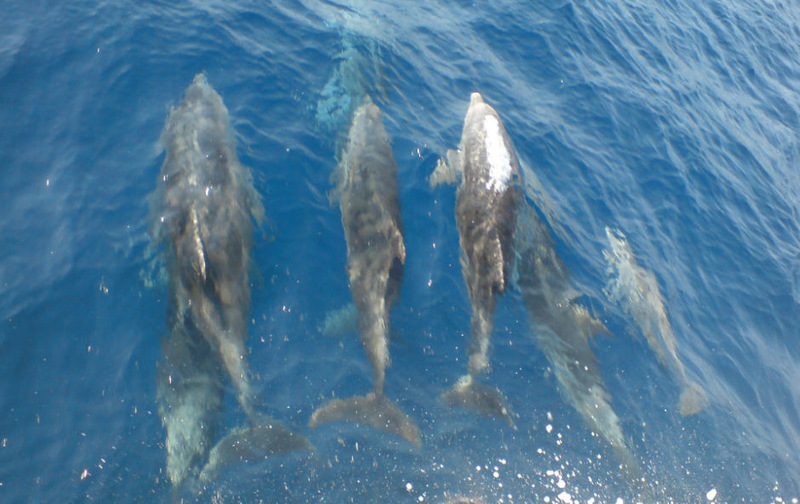 NEVER MISS A SINGLE Dolphin! Subscribe to our newsletter to get offers and updates!